The Glossybox April 2019 box is here and they are celebrating spring with 2 vibrant Fruity and Floral beauty boxes. You will receive one of two special design boxes bursting with fruity and floral formulas. I received the ‘Fruity’ box and it is definitely giving me those summer vibes! 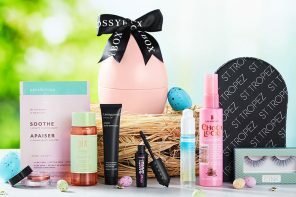 If you missed out on the limited edition Glossybox easter egg that sold out within minutes earlier this week then you need to make sure you at least get your hands on this month’s box! This month the box sees a combination of skincare, fragrance, body care and haircare products worth over £50! Featuring top brands such as Dr Botanicals, Dr Pawpaw, Nivea, Soaper Duper and more, you won’t want to miss out on this stunning edition! 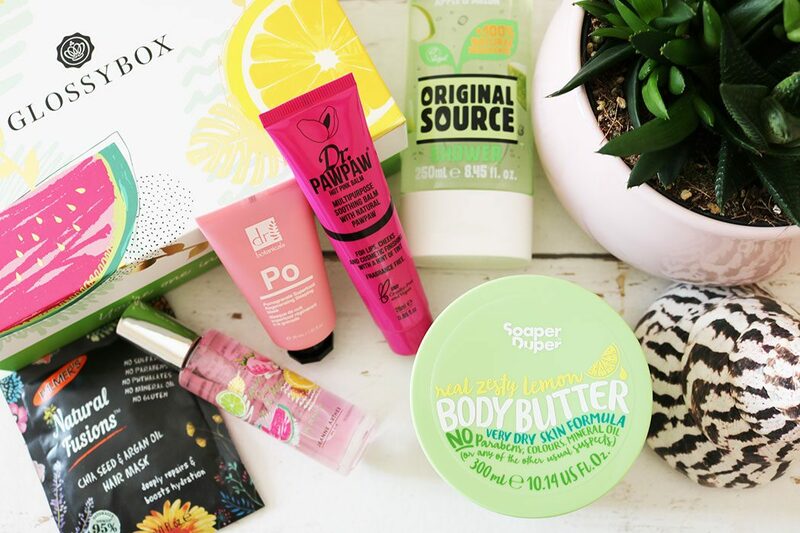 One of the brands I actually discovered through Glossybox is Soaper Duper. They are fab! 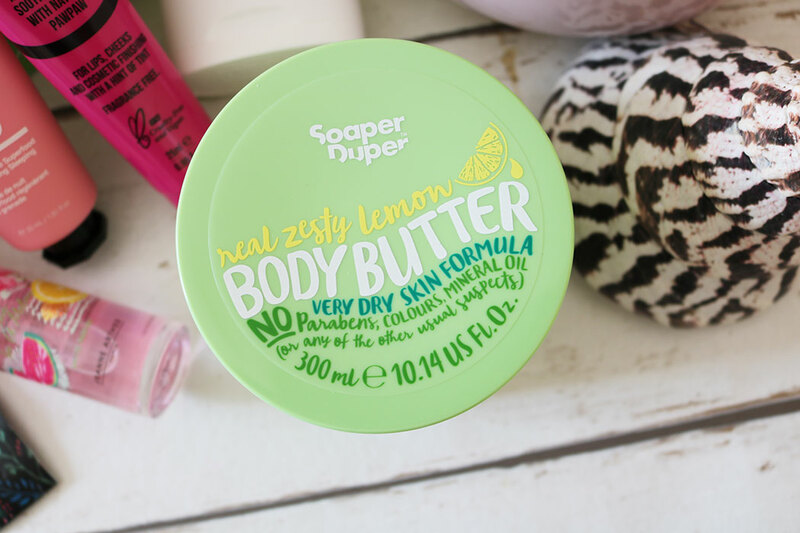 One of my favourites from this month’s box is the ‘Deluxe Zesty Lemon Body Butter’ this is a full size tub and will be perfect for keeping your skin hydrated this month! 100% vegan and cruelty-free, thesebody butter hydrate and nourish dry skin. Simply massage it into your body every day for a soft and deeply-moisturised complexion. 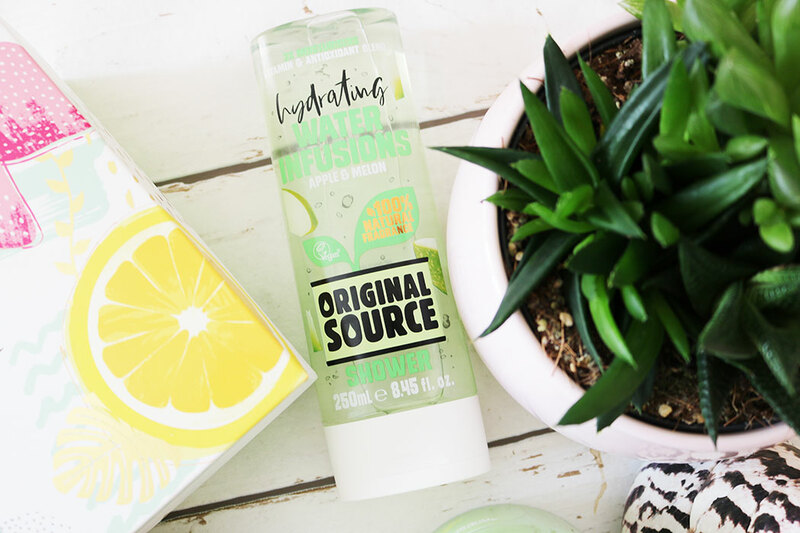 You have a full size Original Source shower gel in ‘Apple and Melon’ scent in the fruity box and this is also another total winner in my eyes. Infused with vitamins, antioxidants and moisturising ingredients that nourish and detox your body from the outside in. Better yet, it’s paraben free and vegan! With more goodies from Palmers, Dr PawPaw and more inside, you’re going to be in for a real treat with the April 2019 Glossybox, that’s for sure! It’s my favourite so far this year. Thinking of signing up to Glossybox yourself? 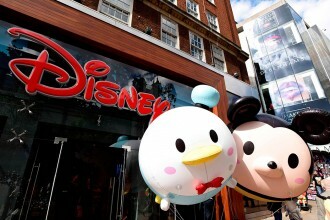 We’ve got you covered with our exclusive discount code! Head to www.glossybox.co.uk and Use code LIFESTYLE20 for 20% off your first box! Let us know how you get on if you do subscribe, and which box you get!